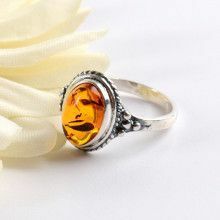 This dark amber ring is hand made by Russian craftsmen. 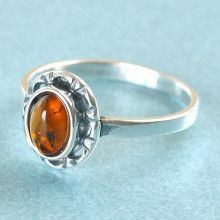 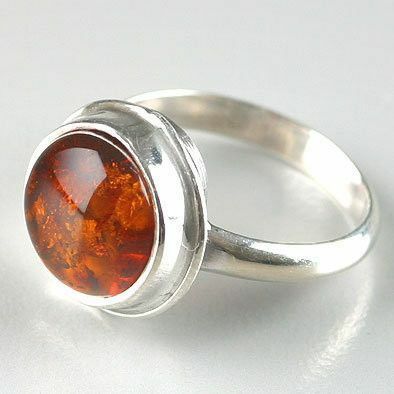 Its cherry circle Russian amber stone is set in a silver band. 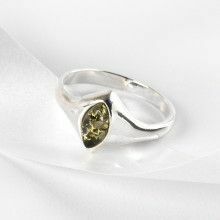 Stone's diameter measures Approximately 12 millimeters.